Found in Broward County, Florida, Hallandale Beach has a population of about 39,000 residents. It's found near the Fort Lauderdale and Miami area. Broward County has a population of nearly 1.8 million and the Miami Metro area serves as a home for nearly 6 million residents. Along with the high density of residents, the area provides a hot spot for vacationers from all over the world. With Hallandale Beach found on the coast, it's a very popular area for visitors and part-time residents. This makes it a spot with quite a few different driving styles mixed together. Many of the visitors don't know the roads very well, either. Interstate 95 provides access to Hallandale Beach and serves as one of the main highways running throughout the area. The Florida section of I-95 is used by about 186,000 drivers every day. I-95 in Florida is known as the deadliest highway in the United States. About 26,000 car accidents happen in Broward County every year. Nearly 200 traffic fatalities happen in Broward County every year. Traffic accidents in Hallandale Beach and Broward County are on the rise. If the law enforcement officials in charge of monitoring the traffic in Hallandale Beach were not doing their job, these statistics would be far worse. In 2015, about 195,000 traffic infractions were received by drivers in Broward County. About 96,000 drivers were caught speeding and another 18,000 were pulled over and ticketed for careless driving. Out of the total number of tickets issues, more than 15,000 were for drivers running a stop sign or stop light. This doesn't even include the drivers getting away with breaking the rules. Traffic school online offers the option to keep your insurance rates from going up and the points off your license when you receive a traffic infraction in Hallandale Beach. By taking the basic driver improvement course, you will be able to keep the points off your license and avoid potential license suspension. 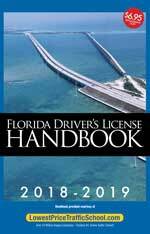 If you accrue 12 points worth of tickets in 12 months, the State of Florida will suspend your driver's license for 30 days. Those getting 18 points in 18 months will deal with a 90-day suspension and those getting 24 points in 36 months will lose their license for an entire year. After your license is suspended, if you're caught driving, you may face as much as $500 in fines and 90 days in jail. It doesn't take more than just a few tickets to end up with a suspended driver's license in the state of Florida. Avoiding points on your license with traffic school is very easy. 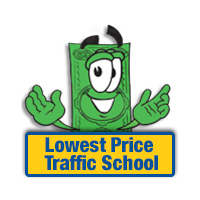 Just pay the ticket and let the clerk of the court know you plan on enrolling in online traffic school. Then, take and complete the course from the comfort of your home. You will receive a certificate of completion, which you will need to turn into the clerk of the court. That's all it takes and you won't have to worry about any points on your license or your insurance rates going up. If you're not sure of your eligibility for traffic school, ask the clerk of the court. They will be able to let you know if you're eligible. The eligibility requirements in Florida are pretty simple. Every driver can take the basic driver improvement course to avoid points up to five times. However, you have to wait 12 months to take the course after using it to avoid points from a ticket. If it has been at least 12 months since you took the course and you haven't taken it five times, you're eligible for online traffic school. All traffic infractions, regardless of the law enforcement agency issuing the ticket, are processed by the Broward County Clerk of the Court. This is the office you contact for information and payment of your ticket. Make sure you inform the clerk of the court if you plan on enrolling in online traffic school. Find out more information about the Broward County Clerk of the Court on their website.